When we talk patents, Apple’s got a lot of them. It’s these applications which really tell us what to expect from the company. While a substantial number of these won’t materialize in the future, the which will do mark a nice direction for the future. So far, a couple of major patents have surfaced. 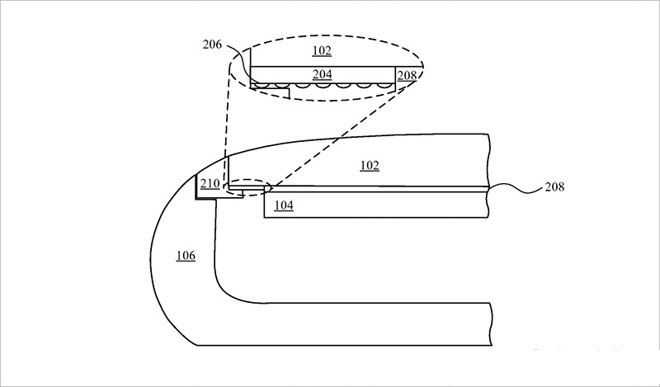 They relate to a dual screen MacBook and a Quantum tunneling material system for the iPhone. Today, there’s one which relates to how a device’s screen will respond to damage, via software. Take a look below to find out more. This year’s flagship smartphones will feature 10nm processors. Rewinding back a couple of years, the performance and power efficiency improvements which they will deliver are massive. Still, a couple of features still remain a nasty thorn in manufacturers’ side. Displays and batteries. 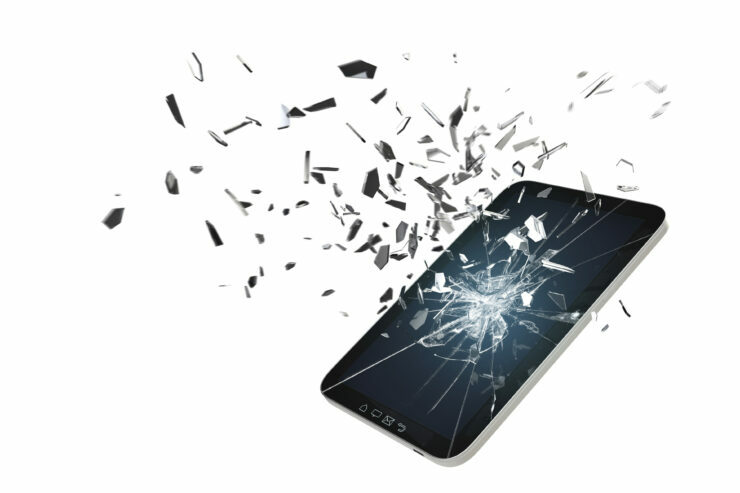 No matter how advanced a smartphone’s hardware is, its screen will crack and battery will run out after heavy usage. In fact, getting the battery bit right is critically important, as Samsung will bear testament to. The Note 7’s disaster will remain etched in user and industry memory for at least a couple of years. 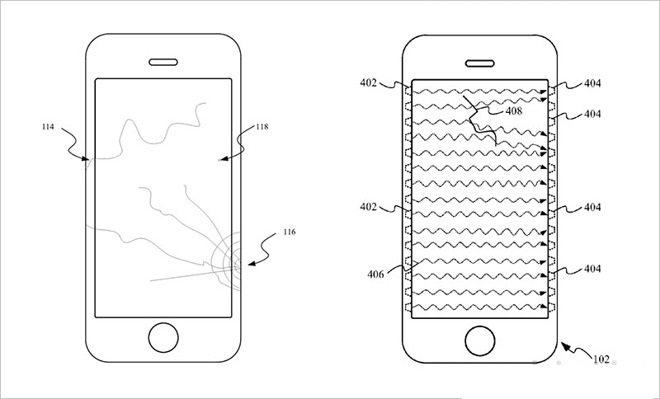 Now, Apple’s looking for ways to notify users when the screen protectors for their iPhones have sustained damage. 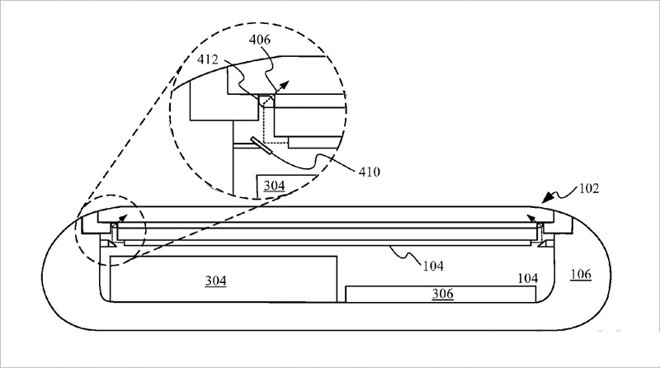 In a latest patent granted by the USPTO, Cupertino is looking to utilize existing and new sensors in a device’s display to detect these fissures. Discovered by folks over at AppleInsider, the patent outlines ways in which Apple will be able to outline the events which led to a screen fracture. It’s kind of like collecting data for user interaction with their devices, only now this data will serve to determine a timeline for physical events. There are several methods which Apple hopes to utilize for this objective. These are through the use of current sensors present in a display, new piezoelectric sensors and light emitters at the end of the screen. All three, couple will motion sensors will detect when an iPhone has received sudden shocks and the display cover is damaged. They’ll be able to detect serious and hairline fractures and with the data collected, Apple and its suppliers will be able to determine the events preceding the damage. It’s a cool concept really, one which breaks away frm the flurry of new features which manufacturers love to reserve. Thoughts? Let us know what you think in the comments section below and stay tuned for the latest. We’ll keep you updated.